I have some fun news! Within the next couple weeks, I will be moving to a new website. (Well, I’ll be sitting at my house, but all my info will be moving). This old blog has served me well during it’s tenure, but I felt limited by the things I could do. I wanted a cleaner, more dynamic site that would allow me to post more content and to better engage with the people who read my books. The new site isn’t quite done yet, but it’s almost there, and I am so excited because it is SOOO pretty and so fun! You’ll see soon. It really is very cool, and I’m VERY excited to have something so fancy. I plan on leaving this blog up, as an archive for my older blogs, since it would be too cumbersome to move them all over. I’m also still getting hits older blogs, and I want people to still able to find the things they’re looking for. But starting shortly, all my new posts and everything will be at the new site. I can’t wait to unveil the new site, and I’m counting down the minutes. I just wanted to let you all know about the changes that are coming, and with the release of Ice Kissed only 50 days away, I’m beginning get the promotion underway. I have lots of giveaways, contests, teasers, trivia, quizzes, and just all sorts of fun things coming up. I absolutely love the Trylle and Kanin series. 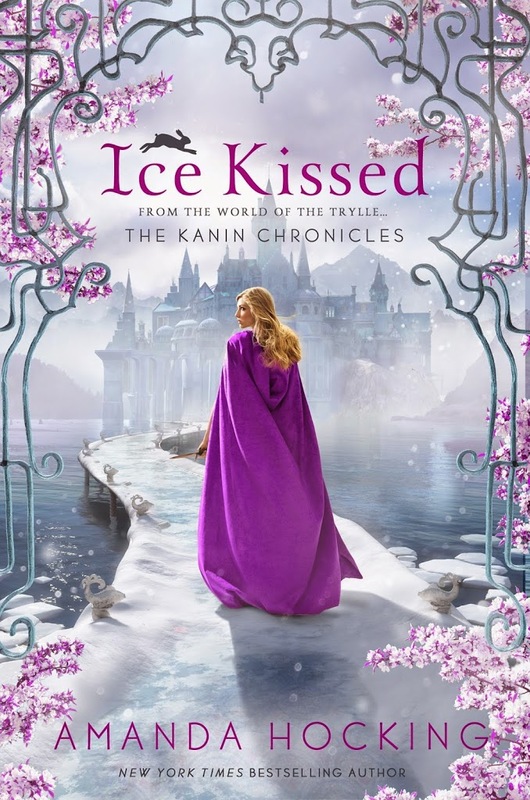 I can’t wait for Ice Kissed to be released and I am anxiously searching for more books by Amanda. Mari bergabung bersama ASIANBET77.COM Disini kami menyediakan berbagai macam jenis permainan betting online, seperti Taruhan Bola Online, Casino Online, Togel Online, Sabung Ayam Online dan masih banyak lagi game taruhan online lainnya…. Pendaftaran gratis tidak dikenakan biaya apapun juga, minimal Deposit sangat ringan, hanya dengan Rp 100.000 saja anda sudah bisa bergabung bersama kami. ASIANBET77.COM bekerja sama dengan bank lokal yakni BCA, MANDIRI & BNI. Sehingga memudahkan anda untuk bertransaksi bersama kami. Diga para você mesmo o nome do único rapaz ou moça com quem você gostaria de estar (três vezes)…. Se você tem um desejo, repita-o para você mesmo (Venha cá ANJO DE LUZ eu te INVOCO para que Desenterre ej de onde estiver ou com quem estiver e faça ele ME telefonar ainda hoje, Apaixonado e Arrependido, desenterre tudo que esta impedindo que ej venha para MIM , afaste todas aquelas que tem contribuído para o nosso afastamento e que ele ej não pense mais nas outras… mas somente em MIM. Que ele ME telefone e ME AME. Agradeço por este seu misterioso poder que sempre dá certo. Amém…). I would want to explore somebody to http://www.trustessaywriting.com also figured you could contribute. I experience before written the satisfy moreover impartial want it transferred to a Proverb bill. Besides, about how very does it expense to win this accomplished? What web provider are you using? Adding onto what Renae said, it is pretty easy to migrate all your old content if you’re moving to a platform like WordPress. You can even make this old blog seamlessly redirect to the new one so people can still find old content. A new blog it exciting! I just won an advance reader’s copy!! CANNOT wait to get started! !